﻿ How to Find Right Compatible Optical Transceivers For Your Needs? Today is Monday. And a new week began again. I am glad to be here and share some information about fiber optic transceivers. Recently, an old topic about compatible transceiver modules has been brought forward again in my community. Many users are still unsure that whether they should use the 3rd-party fiber optic transceiver modules in their switches. As we mentioned before, the 3rd-party compatible fiber optic transceiver modules cost much less than the origin brands’ which will help save much more on the their item budget. Thus, in general, out of consideration of saving cost, they would like to use. However, if you have the experience of using 3rd-party compatible fiber optic transceiver modules, you may find that sometimes it did not work as you expected. How to get out of this dilemma? How can we both save money and ensure the proper operation of work? In my opinion, to choose the right compatible fiber optic transceivers for your needs is the necessary precondition. As the major brands, like Cisco, HP, etc. they offers switches and routers, as well as the fiber optic transceiver modules for their devices. Of course, they want their customers buying only their hardware, declaring that only official hardware will work and have after-sales guaranteed. They use encryption to refuse to access 3rd-party fiber optic transceiver. This is why some users will face failure when they using 3rd-party fiber optic transceivers. Actually, if you are not short of money, to use the official fiber optic transceivers is indeed a good choice. However, that was not the case. In many items, cost is always the first consideration of people. Using the official hardware means that you need to pay more than anyone else on the market. Fiber optic transceiver modules are standard products. As long as the transceivers meet the international standards, thereis no question of compatibility between fiber optic transceiver modules. Well, at this point, you may raise a question over the failure of using 3rd-party fiber optic transceivers. One of the main reason that you do not choose the right compatible fiber optic transceivers. So, in the following contents, I’d like to share three tips, or important factors, for choosing the right compatible fiber optic transceiver modules for your needs. First, be clear on what fiber optic transceiver module you will need for your item. “Be clear on what you want” is always the first consideration of shopping. For instance, you plan to shop for clothes, then deciding what styles, what sizes and what colors you may rather prefer? Similarly, you should know the parameters (e.g. the data rate, transmission distance and the wavelength, etc.) 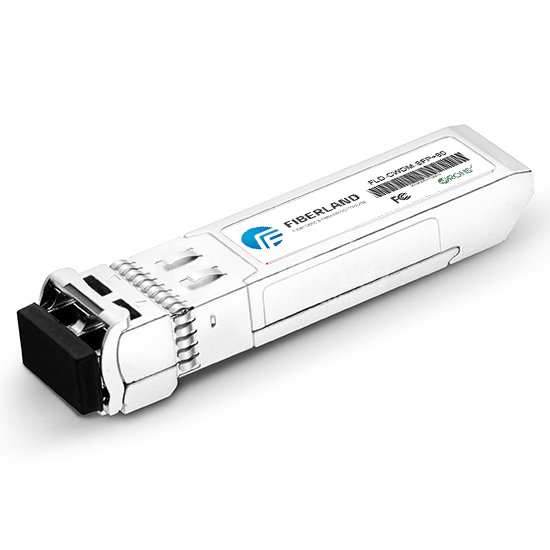 of the fiber optic transceiver modules you may need. If you are uncertain which cables you are utilizing, or which one should be used for a better network, a quality networking vendor can give you the professional advices. When you finish your purchasing plan, the next step is to find the right vendor for the 3rd-party fiber optic transceiver modules. Though the 3rd-party brands are less famous than the major brands, such as Cisco, HP, Juniper, Brocade and so on, there are some reputable compatible brands for fiber optic transceiver modules. When you choose the vendors, you should wipe your eyes and find the reputable one. Because brand quality is going to come into play. And buying compatible fiber optic transceiver modules from a reputable vendors can avoid fake or refurbished modules. Furthermore, a reputable vendor usually has a complete and perfect solution for the major brand series’ encryption which can reduce the issues when using on your device. In addition, the other concern is the warranty. Most manufacturers offer short-term warranties, but consider buying from a vendor that offers longer service and support terms into the deal. A quality 3rd-party fiber optic transceiver should be able to provide years of performance, and be able to move across several pieces of hardware as your needs change over the years. Wear an ESD-preventative wrist strap that is connected to an earth ground whenever handling transceivers. The switch is typically grounded during installation and provides an ESD port to which you can connect your wrist strap. Do not remove and insert a transceiver more often than is necessary. Repeated removals and insertions can shorten its useful life. Keep the transceivers and fiber-optic cables clean and dust free to maintain high signal accuracy and to prevent damage to the connectors. Attenuation (loss of light) is increased by contamination and should be kept below 0.35 dB. >Clean these parts before installation to prevent dust from scratching the fiber-optic cable ends. >Clean the connectors regularly; the required frequency of cleaning depends upon the environment. In addition, clean connectors if they are exposed to dust or accidentally touched. Both wet and dry cleaning techniques can be effective; refer to your site’s fiber-optic connection cleaning procedures. >Do not touch the ends of connectors. Touching the ends can leave fingerprints and cause other contamination.